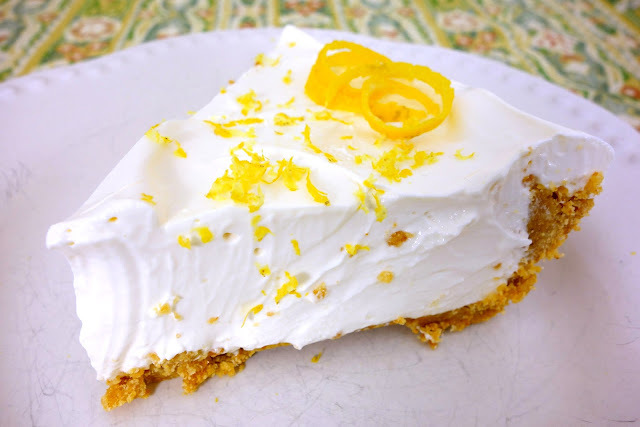 No-Bake Lemon Pie - only 4 ingredients! This is our favorite lemon pie!! SO easy and SOOOO delicious! Super quick to make. Refrigerate until set - about 4 hours. Great for potlucks and parties! 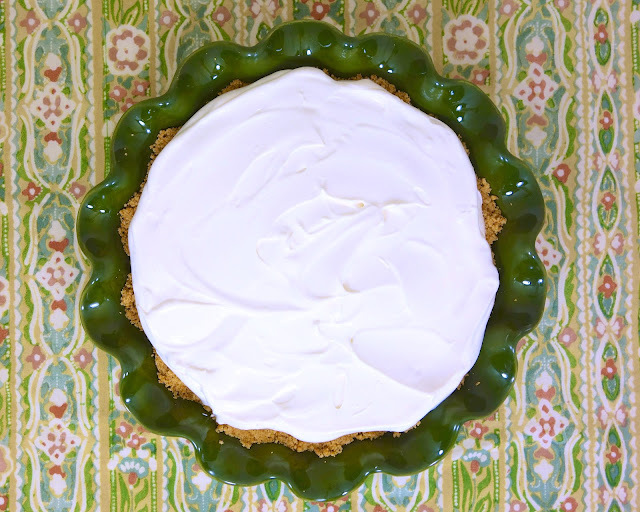 Sweetened condensed milk, lemon juice, cool whip and graham cracker crust. Make this ASAP! Back at Christmas, someone brought a lemon pie to the office that was super delicious. It didn't look like your average lemon pie. It looked more like a cool whip pie. I searched the internets and found something I thought was very similar from Taste of Home. The filling for this pie only has 3 ingredients - cool whip, sweetened condensed milk and lemon juice. You can add some yellow food coloring if you want it to be yellow. The pie takes about 4 hours to set up. I have to confess, it was incredibly hard to wait! Once we could finally taste it, we loved it! It was so light and had just the right amount of lemon flavor. This was a nice and easy alternative to making our usual Lemon Velvet Cream Pie. This would be a great addition to your Easter meal. Whisk together milk and lemon juice. Carefully fold in cool-whip. Pour into prepared graham cracker crust. Refrigerate 4 hours, or until firm. I LOVE this pie! I had never seen the recipe, but I got it from a friend that made it one time for us. I made one a few weeks ago with Meyer Lemon juice- it was great! Definitely a great one for Easter! The tartness and deliciousness of this pie is enhanced by adding 1 tsp of fresh lemon zest to the filling. My mom (and then dad when mom was no longer able) made this pie for years! You made me giggle with "the internets." Looks delish!! I love the picture with the green pie plate. The pie look good too! We're having a party at Tumbleweed Contessa - What'd You Do This Weekend? I'd love for you to bring this over to our party. I make a similar pie. You mix a regular container of cool whip, a regular container of yogurt and a small box of jello mix. (match the yogurt to the jello flavor) pour in a graham cracker crust and chill. You can make it really low in calorie by using low fat and diet jello.